All i can say is WOW. What a turn out. AND its only the 1st event of the year. We kicked off to a full house with the intro’s to who we are and what we do. It was a mixed bag of people ranging from Vendor consultants to end users from various companies. What was interesting though was that there was a fair amount of new faces which we were very excited about. It was great to see some old faces from previous events including the last SharePoint Saturday we had in October. First up was Marc LenFerna covering “What’s new in SharePoint Workflow”. The topic was excellently presented and covered Visio, SharePoint Designer and Visual Studio workflows and how they, a.) interact with each other, b.) how they perform differently in SharePoint and c.) what to use for what application. Marc implicitly stated that the most important component to good workflow is the process that it governs and that indepth analysis must be conducted upfront so that it is thoroughly understood before building it in SharePoint. 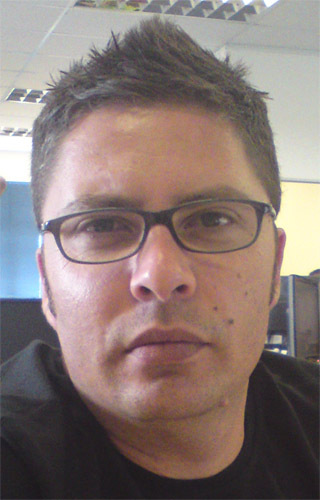 Next up was Johan Olivier with his session on “Understanding the SharePoint 2010 Client Object Model”. He started off with covering the differences between MOSS and SharePoint 2010’s Object Model and how the 2007 challenges we resolved through the introduction of the Client-side Object Model. He then dived into the COM Architecture and how it works, and then tackled the 3 models namely .NET, Silverlight and ECMAScript. Other topics including namespaces, trimming, authentication modes and differences made up the tail end of the presentation. We wrapped up with some Q and A and some food and drinks provided by Microsoft. Thanks to Microsoft Cape Town for providing a home for the Information Worker Community. Marc LenFerna – Hilton Giesenow – Daniel Van Wyk – Johan Olivier. Thanks a ton guys. Last but not least, the most important thanks goes out to the people that took the time out of their schedule to come share a few hours and participate in this community event. Slide decks will be made available shortly.